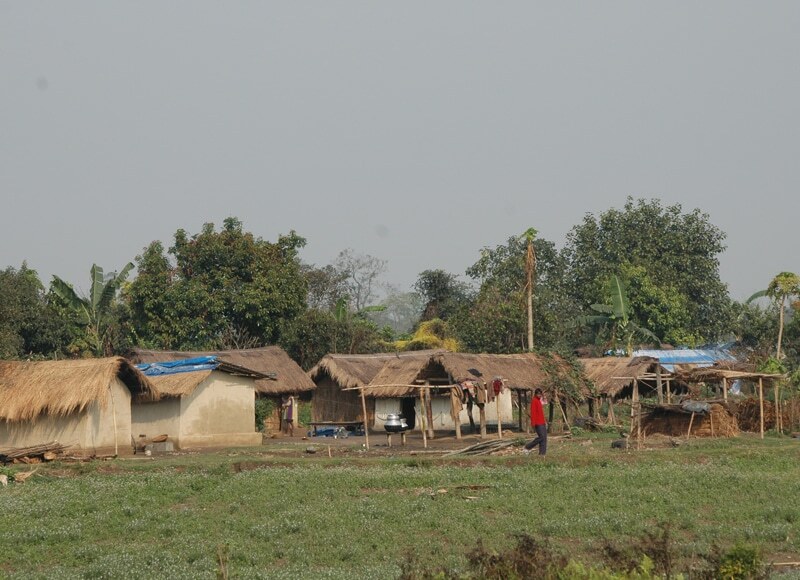 After outbreaks of violence in the nineties, many thousands of people in Lower Assam lived in refugee camps. For more than 20 years children have grown up in the camps. Neglected by the government they cannot go to school. 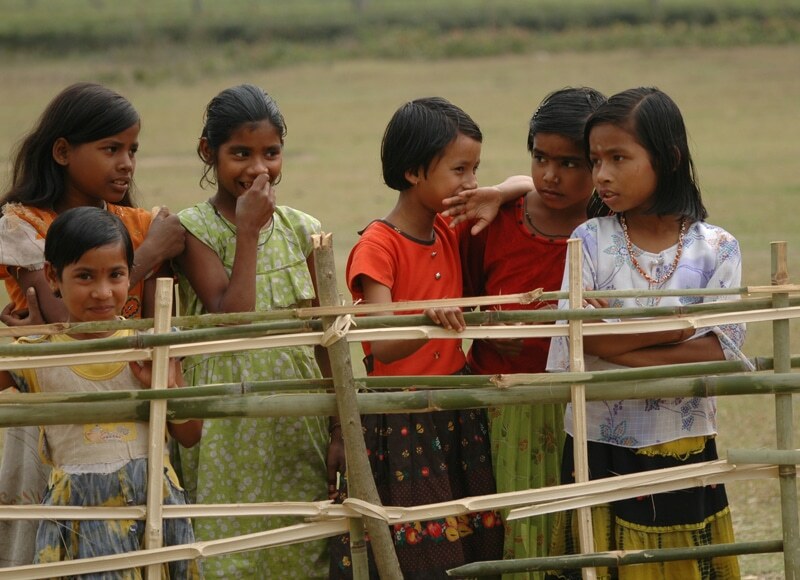 10 years ago our partner DBI started to establish schools in the camps in simple bamboo huts. 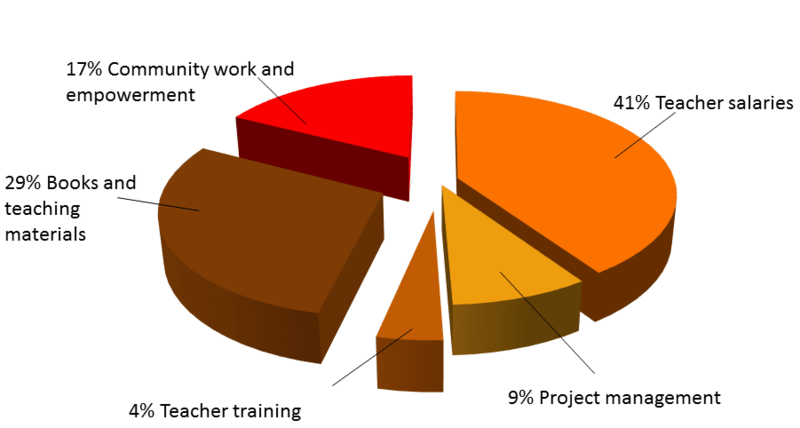 Childaid Network has been supporting the training and the salaries of the teachers since 2007 with increasing contributions. In the meantime, about 6700 children attend our schools. With funds of the German government and from other NGOs, seven proper schools were built since 2009, like this one in Gaurinagar. Step-by-step we develop and educated new generation. Each year visible progress is demonstrated. Since 2011 we have also supported the vocational training of youths in three large centers in the area. Dancing and singing the boys and girls, thank their benefactors for the chance to learn and build their own lives. For the last 20 years conflicts between separatist movements of the Bodo tribe, who gained autonomy for the region, and minority groups like the Santhals and Muslims have plagued Lower Assam. The violence has caused suffering of several hundred thousand people of the minority tribes, who fled into the national forests or in refugee camps. 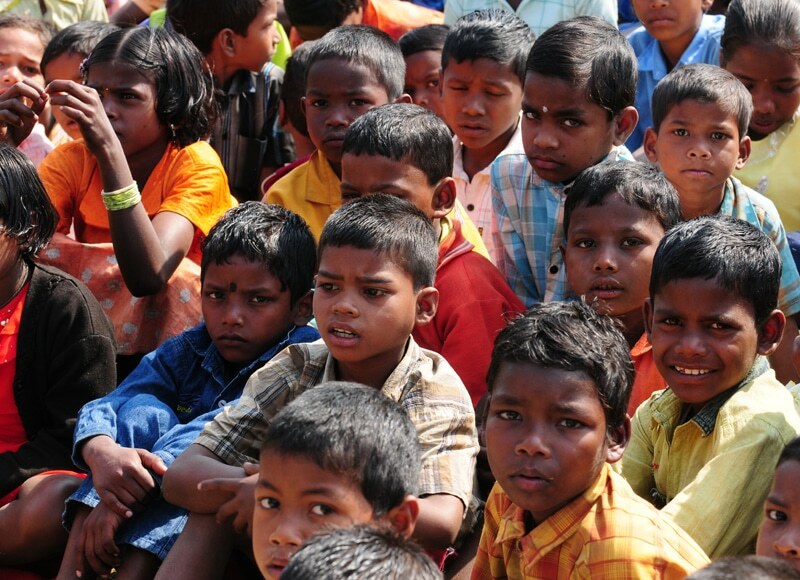 The children of the Santhals frequently grow up in these refugee settlements without access to basic education. They are at risk risk of being subject to a life of poverty dependency. Within the Santhali community in Assam there are only a handful of graduates, doctors and lawyers. With our support the first Santhali refugee children now pass their grade 10 examination. 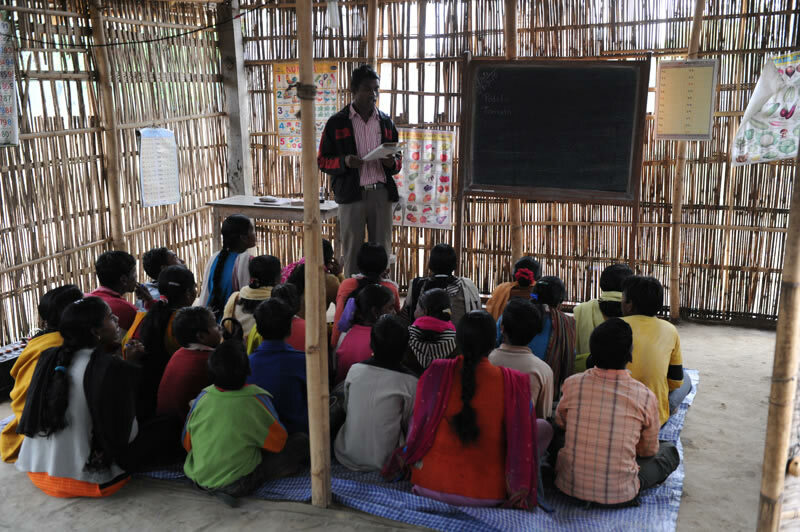 Since 2007 we have supported basic schools in remote villages and refugee settlements in Lower Assam. They are called barefoot schools, because the income of the refugee families is so low that they are unable to buy sandals for their children. Bridging the time until the government steps in, we consider this to be a temporary, but important remedy. Some of the schools have been expanded over the years and now offer regular primary school education up to grade 5. In addition, two high schools in Amguri and Joypur have been developed in this program up to grade 10. Buildings for the barefoot schools will usually be set-up by the communities themselves. A village educational council monitors the activities of the school. In this process, the community accepts responsibility for the success of the schools. We finance the teachers, their training as well as teaching and learning materials. The children get the chance to grow up as self-confident Santhals and become role models in their communities. communities. 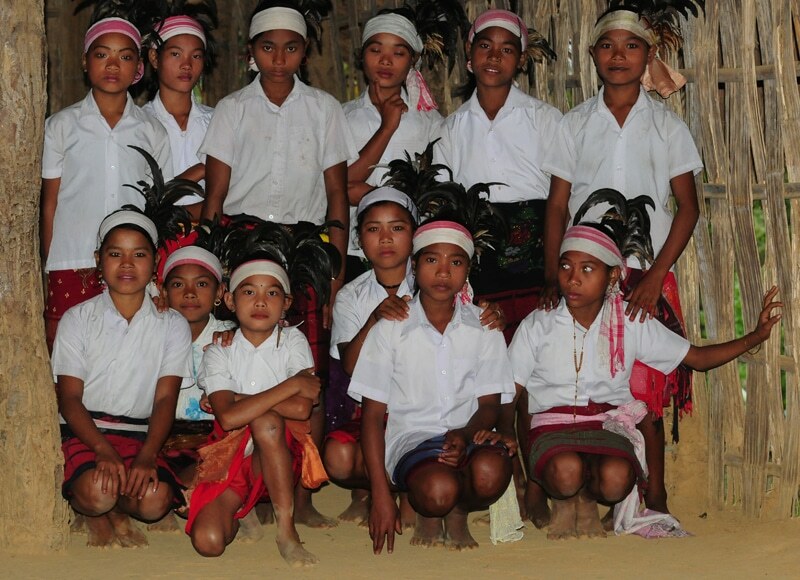 In a tribal community composed mostly of illiterates pursuing education gradually becomes the rule. The program is evaluated externally helping us to improve our teacher training. In our model schools at Amguri and Joypur the first 30 students passed their matric exams (class 10). can send one refugee child to school for a year. Sponsor a child now. 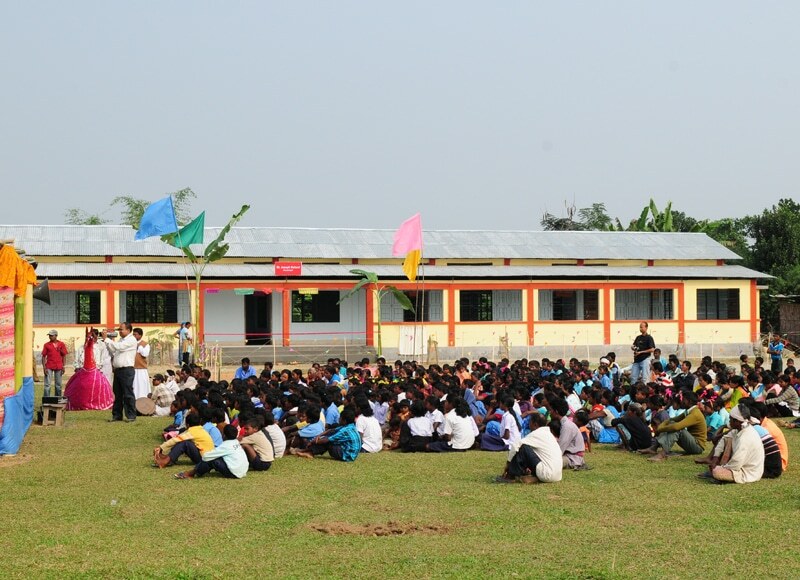 In 2009, jointly with a cooperation partner, 5 primary schools (at Amguri and Joypur) were built. In 2011 we started 3 schools for a basic vocational education of these young people. Another large vocational training center was built in 2016.